Food supplementations in the form of vitamins and nutrients have been around for decades. While simple additions of essential vitamins have found their way into common food (vitamin C-rich juices, vitamin B enriched cornflakes etc.) because of their well-understood function, most supplements are only available as pricy pills, supported by dubious claims from profit-driven companies. 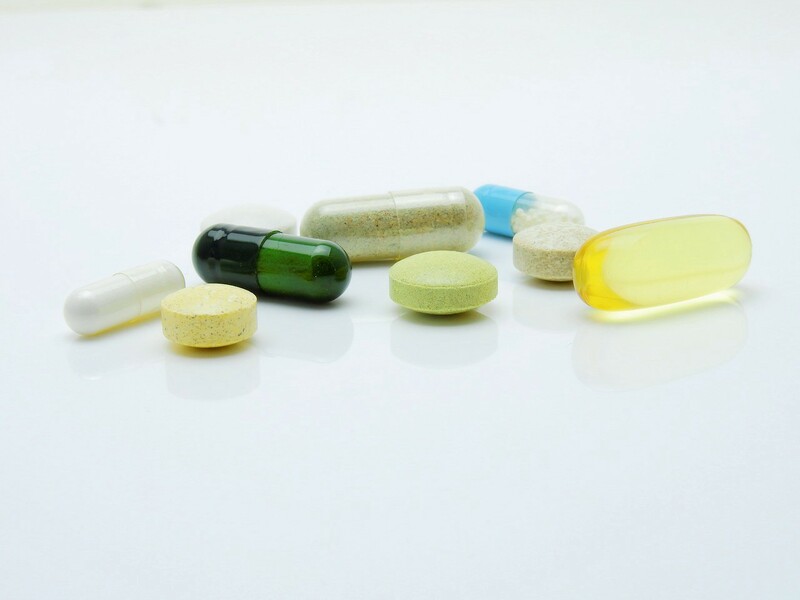 Food supplements are usually not regulated by the FDA, therefore they only have to pass a very basic consumer-safety test and need not uphold any medical claims. Most of them actually have been reported to have no or a negative effect outside of placebo, making the supplement industry as a whole more scam than legitimate enterprise. To navigate this field is very difficult, and this is where basic scientific research has to come in. As often in science, great findings are not usually planned but can happen serendipitously, when investigating something else. And for the over-the-counter supplement called N-acetyl-glucosamine (GlcNAc), a very common sugar metabolite, such serendipity might very well have been at play. Recently, an investigation into inflammatory T cells conducted by researchers from the University of California, Irvine, discovered that the hexosamine pathway is critically involved in determining T cell differentiation, a natural process that regulates our immune response. The hexosamine pathway provides aminosugars (e.g GlcNAc) to the Golgi apparatus, where they get attached to proteins as branched sugar chains ( =’glycosylated’). These branched sugar chains influence protein function and localization. In T cells, the branching of certain cell surface proteins is now shown to determine pro- or anti-inflammatory cell identity. The researchers discovered that whenever their experiments influenced glycosylation in T-cells by either altering sugar supply or disruption of branching enzymes, naive CD4+ T cells would differentiate into pro-inflammatory Th17 cells instead of anti-inflammatory Treg cells. Th17 cells are known to generate their energy via processing glucose through glycolysis, whereas Treg cells derive energy from oxidation of fatty acids. The researchers went on to show that when T cells run on aerobic glycolysis, all the sugars will be used up by glycolysis and nothing is left over to go towards the hexosamine pathway and subsequently glycosylation in the Golgi. A classical supply-demand problem which causes pro-inflammatory Th17 cells to accumulate. 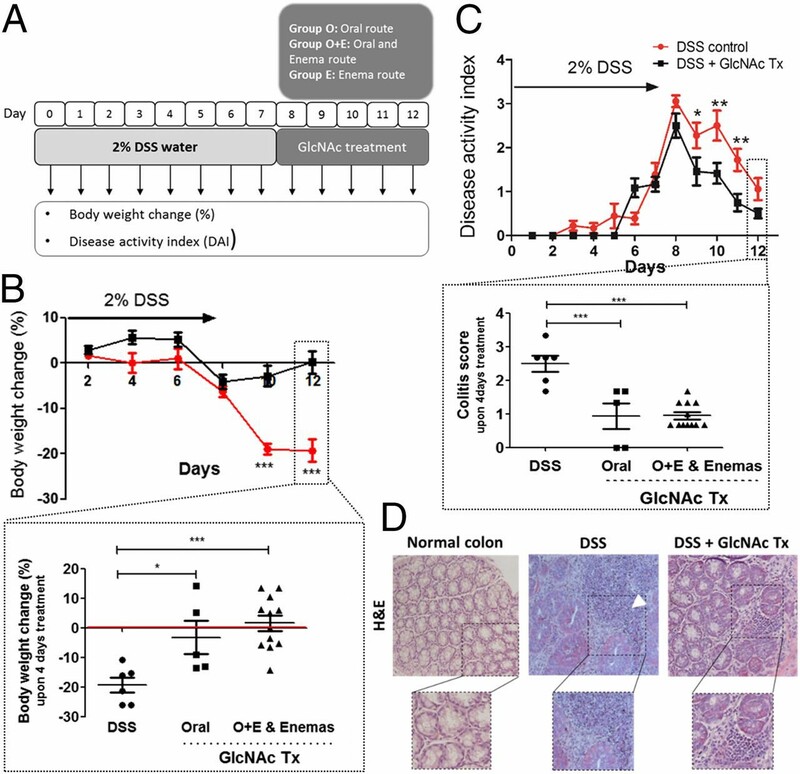 In contrast, supplementation of GlcNAc to their experiments consistently reversed the pro-inflammatory differentiation into Th17 cells in favor of Treg cells. 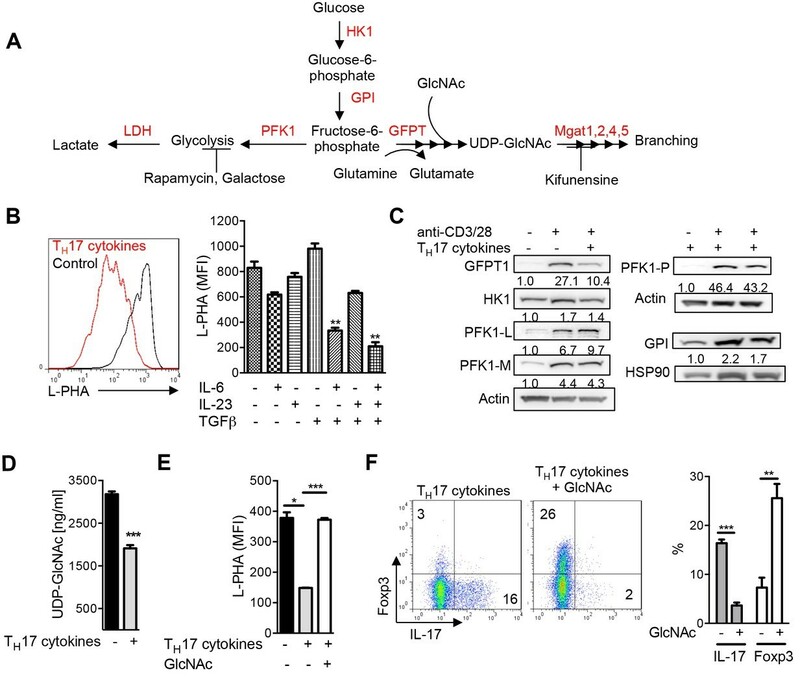 Glycolysis promotes TH17 over iTreg cell fate by inhibiting N-glycan branching. This is a big deal, because the ratio of Th17 vs. Treg cells determines in large part how our immune system reacts to various autoinflammatory insults, ranging from allergies to pregnancy complications over joint pain and neurological disorders to cancer immune invasion. Building on the principle of GluNAc supplementation to treat inflammatory bowel disease (IBD), a preclinical scientific study was published very recently by researchers from the University of Porto in Portugal. Analogous to the previous metabolic study, the researchers found that GlcNAc supplementation increased glycosylation and branching of proteins, thereby suppressing pro-inflammatory TH17 function, which reduced disease severity and helped recovery. Of course, the big picture on GlcNAc supplementation and immune system modulation is quite more complex and nuanced; combating some diseases might require proper pro-inflammatory Th17 function (and GlcNAc would be harmful), others would profit from some shift towards more anti-inflammatory Treg cells. What is surprising is that we can influence something so profound as T cell differentiation with just with a simple sugar supplement. In summary, GlcNAc is a promising compound for modulating a narrow set of inflammatory conditions and is currently assessed in clinical studies. The two studies are showcases for basic science at its best; when discovering a biological mechanism responsible for a phenotypic change is followed up by solid preclinical outcomes (e.g. for inflammatory bowel disease). Overall, these findings should also attract our caution, because when some over-the-counter supplements can indeed interfere with our metabolism so profoundly, and we do not understand it completely, we might be blind towards detrimental long-term consequences to our bodies. GlcNAc might still turn out to be a failure after clinical trials, we might discover side-effects or counter-indications yet unknown. Finally, while most dietary supplements are a scam, some might indeed be helpful. However, we have to make sure that we only even consider ones which are backed by solid scientific evidence, and not just a company’s word.